Umaru Musa Yar’adua University, UMYU direct entry admission list for the 2018/2019 academic session is out and now available on the school website. Authority of Umaru Musa Yar’adua University, Katsina, has released the names of candidates offered provisional admission into the university various first degree programmes for the 2018/2019 academic session via direct entry. 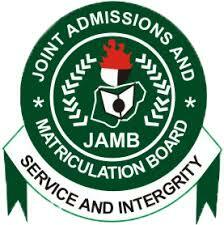 See Also : UMYU UTME 1st & 2nd Batch Admission List. UMYU direct entry admission list has been successfully uploaded on the university portal. Check UMYU Direct Entry Admission List. Go to https://www.umyu.edu.ng/index.php/2017-03-26-10-25-31/university-news/377-direct-entry-de-admission-list-2018-2019-academic-session to access UMYU Direct Entry Admission list for the 2018/2019 academic session. Congratulations to all the candidates that made it to UMYU direct entry admission list.